Since I have a TNC, see earlier post, I am QRV with APRS. Mainly on 144,800 as a digipeater for a part of the Betuwe. Despite this I notice a black hole on the A15 highway along Tiel. This by altitude. Meanwhile I have also some rides with APRS in the car. First I had the interval of the beacon at 3 minutes, which I have now been reduced to 2 minutes. This is pretty close, depending on the available digipeaters. 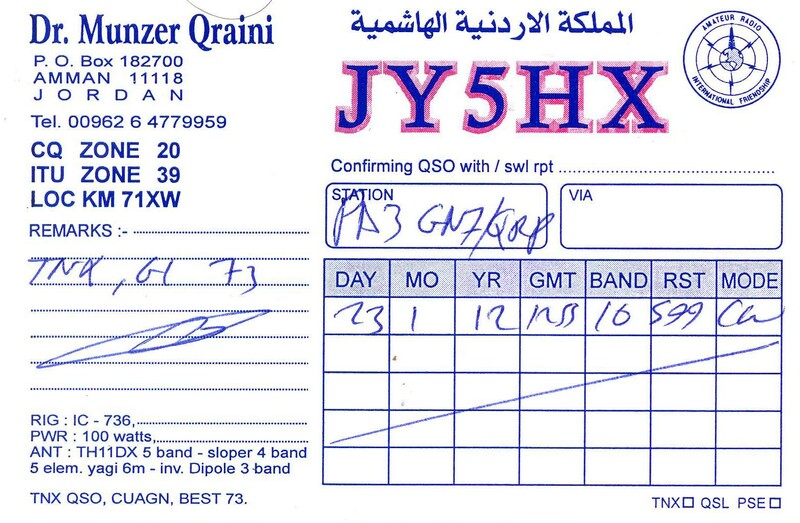 Last week I received the QSL of my contact with JY5HX. 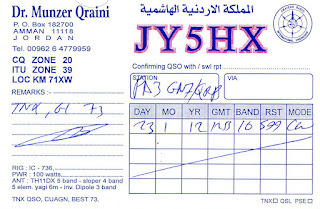 With this card I have confirmed 54 countries with QRP power. The next time I will do almost nothing to the hobby. About 2 months well I leave this house, I'm looking for another.